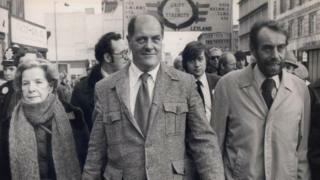 Mr Robinson, one of the most famous names of the trade unionist movement in the 1970s, was dubbed “Red Robbo” by the media. As shop steward at the plant in Longbridge, Birmingham, he was involved in a series of strikes and walkouts over alleged mismanagement. He stood as a Communist Party candidate in four general elections in the city. He was behind an estimated 500 disputes at the plant, which was then government-owned. Speaking to MPs in 2000, Mr Robinson said he was proud of his Red Robbo nickname. “I can sleep sound at night because I never betrayed the workers I was elected to represent,” he said.